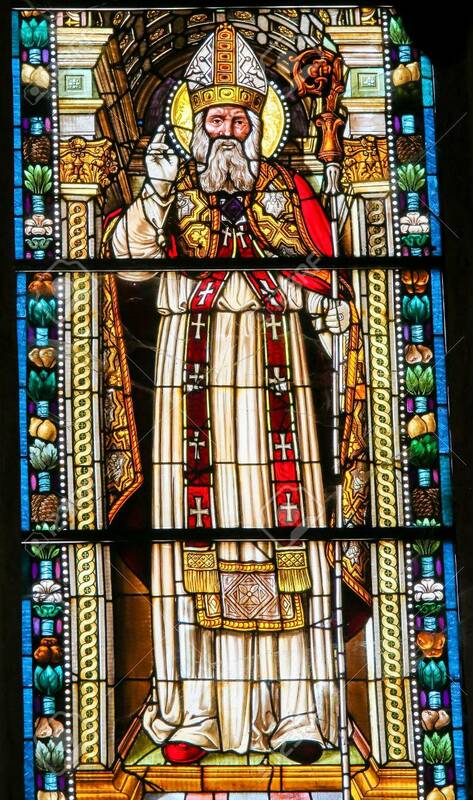 Stained Glass Depicting Saint Nicholas Of Bari In The Collegiata Or Collegiate Church Of San Gimignano, Italy. Lizenzfreie Fotos, Bilder Und Stock Fotografie. Image 111810672.